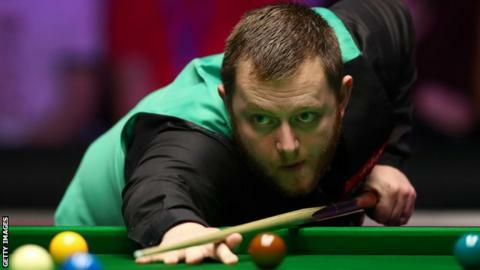 Northern Ireland's top seed Mark Allen progressed to the quarter-finals at the Players Championship in Preston by beating Scotland's Stephen Maguire 6-2. Allen, who has won the International Championship and Scottish Open this year, opened up a 5-0 advantage helped by breaks of 67 and 61. Maguire cut Allen's lead to 5-2 after runs of 62 and 77 but a break of 66 secured the Northern Ireland man's win. Allen will face either Dave Gilbert or Stuart Bingham on Thursday evening. Gilbert will meet Bingham in an all-English contest on Wednesday. This week's tournament features the leading 16 players from the one-year ranking list. Allen goes in as top seed having earned his two ranking tournament victories this season and banked more than £350,000 in prize money.